Brooklyn Borough President Marty Markowitz is blowing up a storm in reaction to the decision by the Federal Emergency Management Agency to leave Brooklyn out of the declared region which will receive federal aid to help clean up after the mess Hurricane Irene left in her wake. Brooklyn is the only borough of New York’s five which was left out of the FEMA declared areas, although its status can still change. In the next few days a more complete assessment of the damage inflicted by Irene on Brooklyn will be conducted, which will hopefully change Brooklyn’s status for FEMA funding. In the meantime Markowitz is blown away by FEMA’s preliminary decision to leave Brooklyn out. "I am absolutely dumbfounded that federal officials have excluded Kings County from a disaster declaration for public assistance," said Markowitz. "I ... hope that FEMA immediately reverses this dreadful decision and includes Brooklyn. 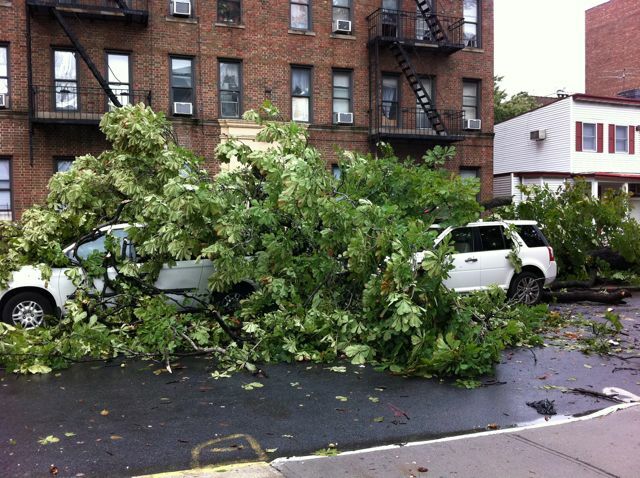 "In Brooklyn, hundreds of trees were knocked down; doing significant damage to cars, homes and infrastructure, and some Brooklynites remain without power. Brooklyn's low-lying 'Zone A' neighborhoods that were evacuated saw significant flooding," Markowitz added. Markowitz also said that parts of the BQE were damaged by Irene and will need to be repaired.